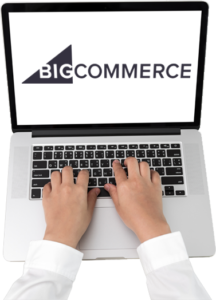 When it comes to Bigcommerce Product Entry, we have a track record of delivering perfection and accuracy in all facets. Our experts focus on all crucial aspects so as to utilize the scope offered by Bigcommerce to the maximum possible extent and thus elevate your ecommerce business to greater realms of success. At Ace eComm, we stringently follow all the guidelines laid down by Bigcommerce to eventually maximize your profits and minimize your expenses. Our experts can help you to develop your business strategy by performing competitor analysis and also monitoring their promotional activities. With extensive industry knowledge and the latest technologies at our disposal, our professionals are capable to surpass your expectations and take your ecommerce business to innumerable heights! We have worked with a large number of eCommerce companies dealing in a wide range of products such as Fashion Apparels, Baby Products, Home & Kitchenware, Industrial Products, Musical Instruments, Health & Fitness Items, Stationery Items, Jewellery, Electronic Equipments, Automotive Ancillaries, Computer Parts, Cars & Sports Bikes, Luxury Watches, Medical Equipments and much more! Our Bigcommerce Data Entry team has the expertise to upload products manually as well as in batches. We can also help you in adding unlimited number of product options to any of your products as well as set different pricing levels for different user groups at your Bigcommerce Store. Our team has the ability to gather product information from hard copy catalogs, digital catalogs, scanned images, PDF files, manufacturer’s’ website and other legitimate sources. We can help you with bulk product upload with the use of bulk listing softwares like Turbo Lister, Auctiva, and CSV files for Amazon. We can upload a large number of products in a quick turnaround time. We’ll incorporate correct categorization and sub-categorization of your products. This would help your potential customers to view your products in an organized and uncomplicated manner. An attractive image plays a pivotal role in the customer’s buying decisions. Hence, our Image Editing team will add suitable images to strike a perfect visual chord. If need be, they can also create, edit, enhance, crop, or resize product images. Our passionate Content Writers have the ability the jot down absolutely unique and eye grabbing product descriptions. And not only that, they are also well versed with SEO keywords which play a significant role in search engine rankings. We can do a price comparison analysis for your products so that you can offer the best prices to your customers and stay ahead of your competitors. We can also keep a detailed check on your product’s availability status. We’ll take care of your Inventory Management by ensuring that out-of-stock products are listed as out-of-stock. Any errors in information can prove fatal for your eCommerce business. We’ll help you with order processing and shipping updates to ensure seamless delivery of products to your customers. We can define your products by adding crucial attributes like colour, size, weight, dimension, model no., etc.